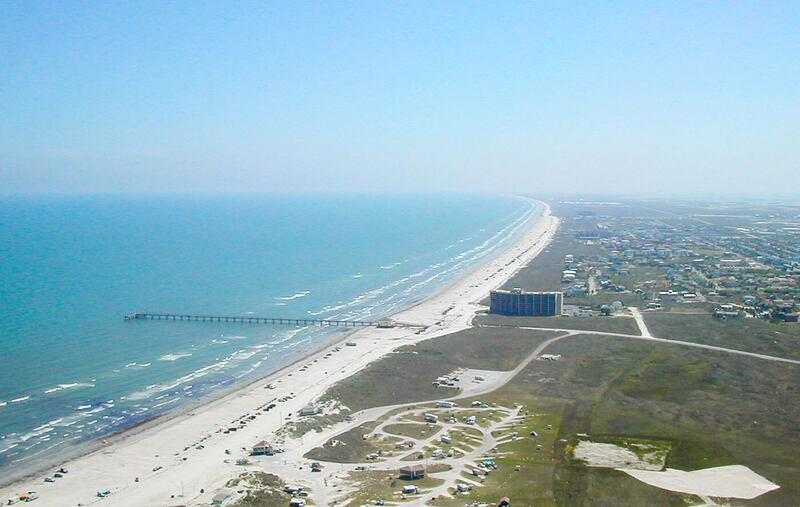 One of the many kite spots in the Corpus Christ – Mustang island area. A nice spot with waves. 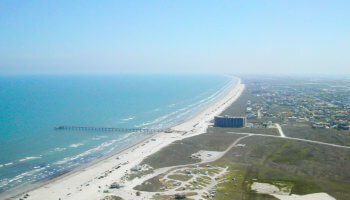 The flat area is closer to the jetty, where usually fishermen are. Around 15 knts all summer. Mostly thermal wind. Jellyfish and fisherman. Be careful in offshore wind.